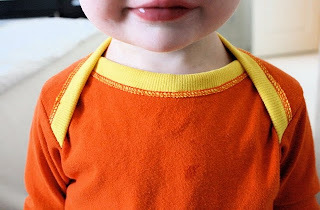 I've been wanting to figure out how to make a baby onesie/shirt from old t-shirts, and today I found a great tutorial on how to do it! That will save me the time of deconstructing a onesie and figuring it out for myself! Find the tutorial here at MADE. 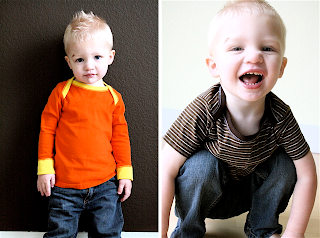 want to make a little boy shirt from one of dave's old button-up shirts? I like the shirt but there's a big hole in it. I think it would make a great little boy shirt...or shorts for that matter.